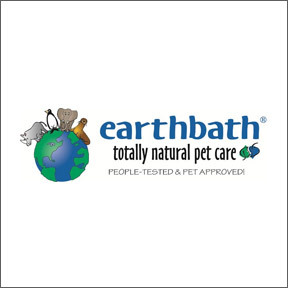 Professional Supplement Center now carries earthbath®, a line of pet grooming products designed with the health and wellness of our furry family members in mind. Developed and manufactured in California, earthbath® utilizes safe and natural ingredients based on principles of purity and efficacy. The product line includes shampoos, grooming wipes and heavenly scented™ spritzes that offer solutions for every day cleansing, skin and coat conditioning, and natural odor relief. Each new product is personally tested and approved by CEO, Paul Armstrong. These non-toxic pet products are made with the highest quality human-grade ingredients and pure essential oils, without parabens, sulfates, phthalates, phosphates or artificial colors or fragrances. In addition to creating products that are good for pets and their owners, earthbath® is dedicated to participating in a variety of local and national animal and environmental causes, supporting non-profit organizations with volunteer hours, product donations and financial support. Hypo-Allergenic Grooming Foam for Dogs – When there’s no time for traditional water-based bathing, this waterless, rub on/towel off formulation makes grooming quick and easy. Gentle cleansers whisk away dander, dirt and saliva, help to control shedding, and leave the coat with a great smelling, plush, show-quality shine. Green Tea Leaf Grooming Foam with natural antioxidants also available. Shed Control Shampoo with Green Tea and Awapuhi – This potent formula contains natural skin moisturizers, humectants, and emollients that nourish and detoxify the skin and rejuvenate the coat, while controlling excessive shedding and dander. Soap free and pH balanced, this shampoo thoroughly cleans and deodorizes, leaving the coat beautifully soft and heavenly scented. Shed Control Conditioner with Green Tea and Awapuhi – This vegetable-based conditioner softens, detangles and enriches coats, while reducing excessive shedding and dander. Specific ingredients nourish, repair and protect the skin, reduce dryness and scaling, and leave coats soft and shiny. Green Tea Leaf Spritz – This deodorizing spritz provides a simple solution to naturally eliminate odor between baths. Heavenly scented with natural essences, this premium product deodorizes, moisturizes, and leaves coat shiny and supple with no oily residue. Lavender, Mango Tango, Mediterranean Magic, Vanilla & Almond, and Eucalyptus & Peppermint scented products also available. Hypo-Allergenic Grooming Wipes – These totally natural, hypo-allergenic wipes offer a quick, convenient way to safely and easily wipe away dirt and odor between baths. Mild cleansers deodorize, freshen and clean dirty paws, undercoats and bottoms. Aloe Vera, vitamin E and Hawaiian Awapuhi condition coat, moisturize the skin, and leave a healthy shine. Mango Tango grooming wipes also available. This entry was posted in Home and tagged California, earthbath® totally natural pet care - Featured Brand, Green Tea Leaf Spritz, Hypo-Allergenic Grooming Foam for Dogs, Hypo-Allergenic Grooming Wipes, Professional Supplement Center, Shed Control Conditioner with Green Tea and Awapuhi, Shed Control Shampoo with Green Tea and Awapuhi, Vitamins and supplements, www.professionalsupplementcenter.com. Bookmark the permalink.